Can you feel the thunder? Ghost is hitting the road! The ultimate tour named death! Grab your robes and get ready to rock. 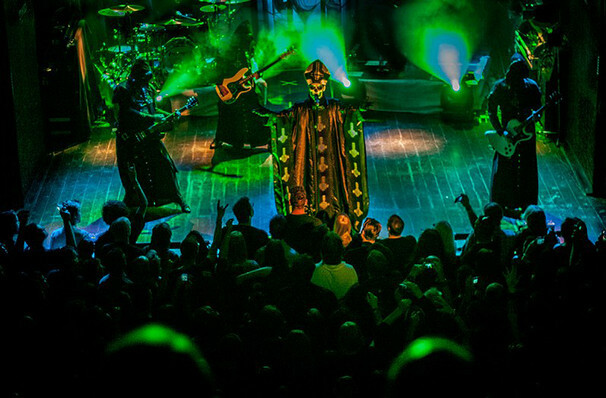 The incredible Swedish heavy metal band Ghost are hitting the road in support of their upcoming, which will be the follow-up to Prequelle, which featured the recently released hit track Rats. The trek will consist of 24 shows under the name The Ultimate Tour Named Death, where they'll be joined by special guests Nothing More. 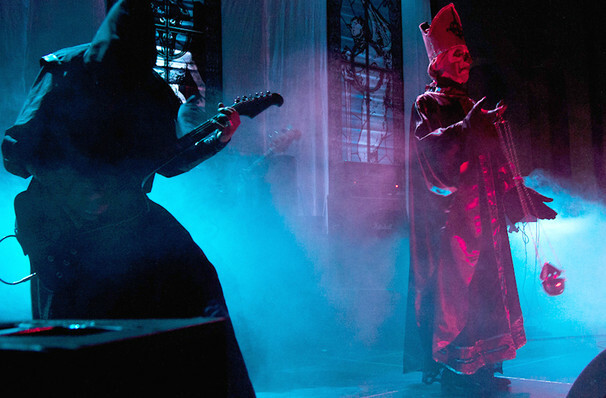 Ghost's popular art which mimics the Catholic church, but reversed, is what makes Ghost stand out from the metal crowd. Anonymity of Ghost plays a huge role to the group, the five instrumentalists are known as the Nameless Ghouls - all dressed identical, with face concealing costumes. Lead vocalist of Foo Fighters, Dave Grohl, once dressed up as a Nameless Ghoul and secretly performed with Ghost. About Spokane Theater: We are an independent show guide not a venue or show. We sell primary, discount and resale tickets and prices may be above or below face value. Sound good to you? 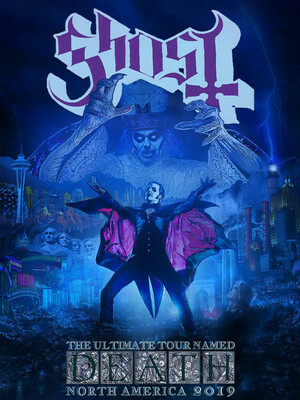 Share this page on social media and let your friends know about Ghost at Spokane Arena. Please note: The term Spokane Arena and/or Ghost as well as all associated graphics, logos, and/or other trademarks, tradenames or copyrights are the property of the Spokane Arena and/or Ghost and are used herein for factual descriptive purposes only. We are in no way associated with or authorized by the Spokane Arena and/or Ghost and neither that entity nor any of its affiliates have licensed or endorsed us to sell tickets, goods and or services in conjunction with their events. Spokane Theater is part of the Theatreland Ltd Collection. Established in 2003, Theatreland offers the largest individual collection of websites providing complete, impartial guides to all the theatrical, musical and performance arts events and venues in the world's greatest theatre cities, from New York's Broadway to London's West End and from the showrooms of Las Vegas to Shakespeare's Globe Theatre.